Open Enrollment is already here, so there's no time to waste. Do you know about all of the pricing and plan changes? Here’s our guide to eligibility, important deadlines to remember, and how to make plan changes for 2019. This year, open enrollment began October 15, 2018 and ends promptly on December 7, 2018. Like Thanksgiving, Medicare Open Enrollment only happens once a year. It is also the only time when all seniors can make changes to Medicare coverage without question. This may be your first year of eligibility, or you may be renewing your coverage. Either way, you still have important decisions to make. We recommend starting by taking a close look at your current coverage, tallying up your health expenses over the past year, and considering what you need to be covered the most over the next 12 to 18 months. This way, you can make the best possible decisions on extra coverage, and hopefully pay as little as possible out of your own pocket in 2019. What Is the Medicare Coverage Breakdown? Think of Part A as the bread, an essential base layer on which to build your total plan. It covers inpatient hospital care, a semi-private room, nursing services, meals, and required medications. Coverage also includes skilled nursing facilities and home care in many situations. Home healthcare benefits typically include care like physical therapy and medical social services. Anyone who’s eligible for Medicare Part A is also eligible for Part B, the meat. Medicare Part B primarily functions more like a standard health insurance plan, working together with Part A. It is designed to cover ambulance services, outpatient care, preventive services, and medical equipment prescribed by a doctor. It also covers rehabilitative services and intermittent home health services. Part B is different because you must enroll and pay a monthly premium, which is typically deducted from your Social Security benefits. Even if you aren’t eligible for Part A, you may be able to qualify for Part B if you meet certain requirements. 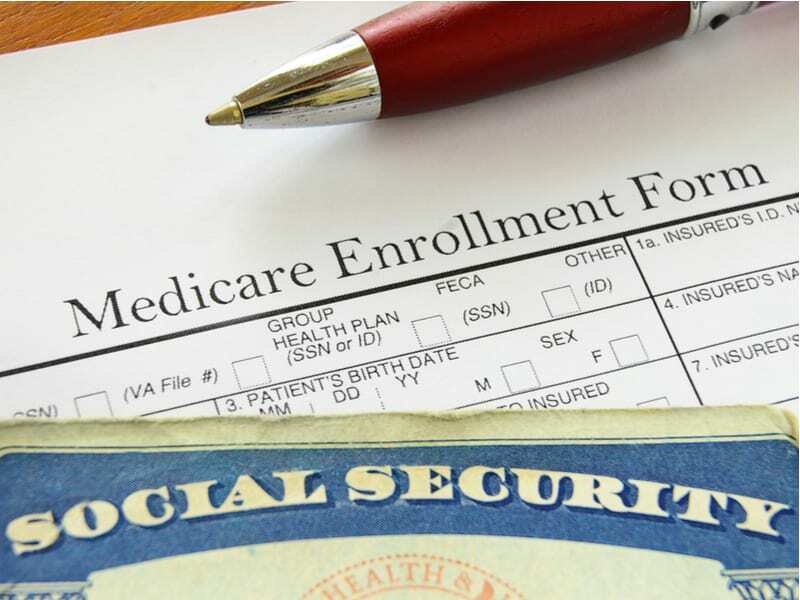 Medicare Part C plans are widely labeled as Medicare Advantage plans. This is where you get to make a lot more choices when it comes to your overall coverage. Think of Part C as ordering a large salad with various toppings instead of a sandwich. Medicare Part C covers the same things as part A + B combined, but it also offers additional coverage options for vision, dental, and a wider range of prescription drugs. Medicare Part C is managed through private insurance companies, and most plans are administered through PPOs of HMOs. Medicare Advantage plans can be good because they have a cap on maximum annual out-of-pocket expenses, which something that Medicare Parts A and B are lacking. Medicare Part D simply covers prescription drugs that are not covered under Medicare Parts A and B. Part D is optional, but very useful for anyone on specific medications. There are two ways to opt-in to Part D. One is by purchasing a Medicare Advantage plan that also covers Parts A and B. The second is to enroll in a Part D prescription drug plan that fits your regional area. If you have a Medicare Advantage plan that covers Parts A and B, you can add Part D through the insurance company that provides your Medicare Advantage plan. When Open Enrollment comes around each year, you ultimately have to choose between signing up for parts A+B through the federal government and purchasing part C, an Advantage Plan from a private insurance company. From there you can determine if Part D is necessary. This year, if you’re not enrolling for the first time, you might be considering either leaving Medicare, or switching back to Medicare from a private plan. You can do this by contacting the private insurance company you are switching from, and they will handle the paperwork. Medicare is an excellent benefit, but it rarely covers 100%, which is why so many elect to purchase an Advantage Plan or Supplemental policy for full coverage. Not only does supplemental insurance cover expenses not paid by Medicare, but also, it often places caps on the amount you could end up paying. Choosing how you will pay for healthcare in advance is one of the most important decisions you can make, especially after 65. What Happens If You Sleep through December 7? If you miss out on open enrollment, you still have options, but they can be very limited. From the first of the year to February 14, 2019, you can leave your Medicare Advantage plan and return to original Medicare. If you chose to do so, you have until February 14, 2019, to enroll in a Part D prescription drug plan. If you forgot to sign up for Medicare when you were first eligible, you can sign up between January 1, 2019, and March 31, 2019. However, you might have to pay a stiff penalty. If you believe you are eligible for Medicare, don’t wait too long to make a decision. Set calendar reminders if necessary. The last thing you want to do is pay a penalty or wait an extra year to change your healthcare plan. Want to learn more about Medicare Open Enrollment plans? Start searching now.